Safety & Compliance for DOT Transportation, OSHA, HR - J. J. Keller & Associates, Inc.
Let our experienced team of compliance professionals work with you to handle time-consuming compliance management for your drivers, vehicles and employees. Our specialists provide real ROI by eliminating internal costs and paying close attention to your compliance. Get tailored regulatory expertise at your site. Our veteran consultants bring their deep compliance and best practice knowledge to you. You can rely on our expertise in regulations enforced by DOT, OSHA, EPA, DOL and hundreds of state agencies. Choose our cloud-based technology to help you manage your workplace and fleet, with anytime, anywhere access. All online services offer a dashboard and easy navigation, to keep you always abreast of regulatory compliance. 97.7% of our customers say J. J. Keller's Consulting Services have positively impacted their organization! An electronic DVIR application that allows you to customize vehicle inspections and time tracking. Learn how to anticipate, recognize & react to an active shooter threat in the workplace. Bystander training helps all employees address unwanted sexual harassment in the workplace. New form complies with e-Manifest User Fee Final Rule. Helps your drivers develop their defensive driving skills. Word-for-word regs in a handy format. Starting at $2.89 each. Folder comes with 16 DQ forms for easy reg compliance. Help protect cargo against tampering & theft. Personalization available. Most popular configuration winch straps used in the heavy-duty flatbed industry. Helps drivers collect, organize and report vehicle accident information. Save time & money with critical route planning info. Simplify vehicle inspections & ensure reg compliance. DOT requires that hazmat shipments be accompanied by emergency response info. Covers current HOS rules and includes vital information on the ELD mandate. DOT reg compliant, with self-laminate for driver’s copy. An easy-to-understand DOT handbook for new drivers. Helps you satisfy DOT regs. Personalization available. Provides critical info on required hazmat regulations. High-visibility maintenance tags easily identify equipment that is not available. 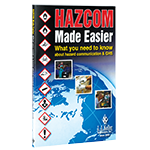 Helps you comply with key HazCom training requirements. In-cab video systems are crucial to helping fleets mitigate risk, improve driver retention, and protect their brand. Video events captured provide timely, coachable moments to reduce hard braking, cornering too fast, lane drifting, following too close, rolling stops, and more. This webcast provides a foundation to help integrate a video event recorder system and will: •Outline the benefits of video event recorders, •Highlight strategies for overcoming objections to in-cab video, •Help prioritize focus behaviors, and •Provide best practices to improve driver coaching and recognition. Join us for an in-depth discussion of the in’s and out’s of DOT recordkeeping and what you need to have in place before the auditors come knocking. If you want to pass an audit from the Federal Motor Carrier Safety Administration (FMCSA) you need to have a thorough recordkeeping program. This webcast will cover: •Driver Qualification Files •Drug & Alcohol Files •Medical Cards/MVR •Logs & E-logs, accident records, maintenance records - IFTA and IRP requirements •Training recordkeeping You will learn which records you need to keep and where, how, and how long they should be kept to help ensure compliance. Do you want to minimize the pain of another transition? To successfully navigate the complexity of the ELD mandate and be compliant by December 16, 2019, this webcast will illuminate the path by covering the following: •The transition timeline and change management, •AOBRD and ELD differences for drivers and the back office, •Auditing with electronic logs, and •Policies and procedures. The Toxic Release Inventory (TRI) Form R deadline of July 1, 2019, is quickly approaching. If you manufacture, process, or otherwise use EPCRA Section 313 chemicals, then this Federal requirement at 40 CFR 372 may be applicable to your facility. This free webcast will help you gain a better understanding of: •What is an EPCRA 313 chemical and where do I find them? •Reporting applicability and threshold determinations •Common TRI reportable chemicals (including commonly missed ones) •Overview of the TRI Form R and Form A •Reporting exemptions •Using the EPA Central Data Exchange (CDX) Join your peers and register today! If you’re responsible for compliance at a fleet with fewer than 20 drivers or you’re an owner-operator, let J. J. Keller’s regulatory experts provide you with insights for handling the five greatest compliance challenges facing small fleets, which include: •Driver qualification file management •Joining a drug & alcohol consortium •Hours of service compliance •Vehicle maintenance •Handling operating authority and credentials Don’t miss this free opportunity to learn valuable tips for keeping your vehicles and drivers on the road and operating legally. Personal Use, also known as “Personal Conveyance” or “PC”, is the off-duty driving of a commercial motor vehicle for personal reasons. The trick to proper use is to be compliant with FMCSA’s guidance without significantly increasing your potential liability. Join us for this webcast to gain insight into the following: •The FMCSA definition of personal use. •The four critical questions used to determine PC. •Allowed and inappropriate scenarios. •Tips to audit for proper use. •Watch-outs when developing a Personal Conveyance policy. Join us as we discuss the ins and outs of OSHA workplace safety audits and inspections. During this webcast, J. J. Keller experts will share real-world stories to help you better understand the complexity of OSHA inspections — and how you can avoid them. Get answers to top OSHA inspections questions, including: •Why is the inspection happening? •What should I expect while the compliance officer is on site? •What are the potential consequences? •How should I prepare? •What are my company's rights? •How do I correct the issues? One of the most common problems carriers have with electronic logging systems is dealing with unassigned driving events. However, due to a requirement in the ELD mandate rule, carriers MUST deal with it! In this webcast, you’ll learn: •what a carrier must do with unassigned driving time, •how a carrier should manage it, and more importantly, •why a carrier should be dealing quickly and decisively with any unassigned driving time that makes it to the back office. Three areas of compliance result in some of the highest fines levied by the FMCSA: driver qualification, alcohol & drug testing, and hours of service. They also cause the greatest concern and confusion for safety professionals. Attend this complimentary event to discover the best practices and insights for improving the ways you address these areas. You’ll learn details of the regulations, discuss potential acute and critical violations, and assess the significance and impact of current activities on the enforcement front. Use the link or call 800-843-3174 x8150 to register. With the ELD requirements now in place for interstate operations, carriers are now turning their attention to what's required for their intrastate operations. Specifically, who must comply and with what requirements? Join us to learn more about the whos and whats of intrastate compliance — we’ll be discussing everything from ELDs to DQ Files. We will also reserve time for a live Q&A session! Annually, there are roughly 4,500 fatality crashes, 119,00 injury crashes, and 418,000 property-damage crashes involving commercial vehicles. Any of these crashes could end up with the carrier in court trying to defend the driver’s hiring, supervision, and actions. In this webcast, we will look at the compliance, training, and supervisory actions a carrier should be doing in advance and after a crash to have a defensible driver. We will also take questions from the attendees during the live event! Attend this complimentary seminar to get the latest regulatory updates, insights and best practices from J. J. Keller’s regulatory experts. You’ll learn the best techniques for: • Surviving an OSHA inspection • Providing required, effective OSHA training • Managing injury & illness recordkeeping • Targeting serious injuries and fatalities (SIFs) You’ll also get an update on Workplace Violence, Active Shooter Response and OSHA industry standards, including electronic injury reporting and ISO 45001. Plus, you’ll have the opportunity to network with local peers to gain additional insights on mitigating risk and maintaining compliance. 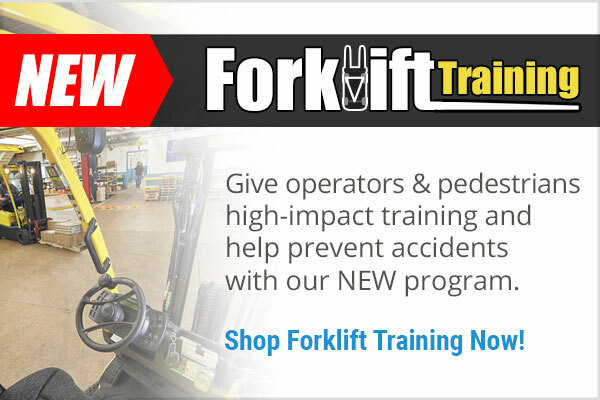 Don’t miss this unique opportunity to improve your skills as a safety professional! Attend this complimentary seminar to get the latest regulatory updates, insights and best practices from J. J. Keller’s regulatory experts. You’ll learn the best techniques for: • Surviving an OSHA inspection • Providing required, effective OSHA training • Managing injury & illness recordkeeping • Targeting serious injuries and fatalities (SIFs) You’ll also get an update on OSHA industry standards, including electronic injury reporting and ISO 45001. Plus, you’ll have the opportunity to network with local peers to gain additional insights on mitigating risk and maintaining compliance. Don’t miss this unique opportunity to improve your skills as a safety professional! Roadside inspections remain to be the primary enforcement tool of the FMCSA. The data generated from these inspections gives the FMCSA, transportation industry, and most importantly, you and your company, all of the data you need to be compliant with Federal Motor Carrier Safety Regulations. But even more than that, this data can also contribute to your bottom line by pointing out areas that threaten your profit through a drop in productivity, the cost of intervention, and unplanned maintenance cost. Areas of discussion during the webcast include: •How vehicles are selected for inspection •The roadside inspection process •Roadside inspection data •ELDs and roadside inspections This one-hour webcast will include a question and answer session. Carrier registration goes well beyond registering with the FMCSA and obtaining a USDOT number. Some for-hire carriers are also required to have authority. States can also require carriers — even private carriers — to obtain authority to engage in intrastate transportation. During this webcast we'll discuss: •The different types of authority •Who needs authority to operate •What’s required to obtain authority •The consequences of not having the proper authorities in place •Registration programs tied to authority, including the Unified Carrier Registration (UCR), the Unified Registration System (URS), and the hazardous material registrations Join us for this informative and engaging webcast that will help keep your compliance program on the straight and narrow. It's never been said that the FMLA is easy to administer. In many situations, an employer’s actions come down to good faith effort. From recognizing what constitutes an employee’s notice of the need for leave, through returning the employee to work, the provisions have ample opportunity for mistakes. And if you've made a mistake, you're not alone! This webcast will cover: •Top FMLA mistakes •Top FMLA violations •What can be done to help avoid such mistakes/violations Join us and your FMLA colleagues as we discuss not only the issues, but possible solutions. A live Q&A session is also included! Drug and Alcohol testing, Driver Qualification, and Hours of Service, must be well understood to minimize potential liability. Your safety rating also depends on getting these areas right. This webcast will cover the keys to success, so you can: •Ensure that your drivers are always properly qualified; •Avoid pitfalls in drug and alcohol testing programs; •Understand the hours of service limits, exceptions, and personal conveyance; and •Navigate a smooth transition to ELDs. We will also save time for a live Q&A session! Although the Hazard Communication (HazCom) Standard has been around over 35 years, it remains one of the most confusing OSHA regulations for employers. OSHA 29 CFR 1910.1200 continues to be cited several thousand times each year, making it the top-violated regulation in Part 1910. Perhaps the confusion and noncompliance may be found in the very text of the standard — legal terminology that has been with the standard from the very beginning. The HazCom Standard defines 43 terms in its definitions section, so the use of these words and phrases may make this particular regulation a challenge for employers in general industry, construction, shipyards, marine terminals, and longshoring. This webcast explores definitions of the key terms in the standard, as well as OSHA’s intent. The better you understand the terminology, the easier, faster, and less costly your compliance efforts may be. So don’t miss out. Register today! Three areas of compliance result in some of the highest fines levied by the FMCSA: driver qualification, alcohol & drug testing, and hours of service. They also cause the greatest concern and confusion for safety professionals. Attend this complimentary event to discover the best practices and insights for improving the ways you address these areas. From costly DOT violations to serious on-the-road accidents, running a fleet is filled with risk. But you can help prevent those risks and protect your company from fines, lawsuits and litigation by taking the right proactive steps. Attend this new complimentary DOT event to learn where the regulations meet your risk — and what you can do about it! Call 800-843-3174 x8150 to register now. Ensuring that commercial motor vehicle drivers are fully qualified at all times can be a confusing and daunting task, but it’s vital if you want to avoid the fines, penalties, and liability that can result from noncompliance. If you’ve got questions, we’ve got answers! Join us as we discuss the most commonly asked questions concerning driver qualification (DQ), based on the hundreds of DQ questions our experts receive every month. Areas of focus during the webinar will include: •DQ File Basics •Road Tests •Safety Performance History •Medical Certification •Driving Records (MVRs) •Non-Compliance Bring your questions - we will reserve time for a live Q&A session! FMCSA is developing a statistical model for estimating a carrier’s overall safety using Item Response Theory (IRT). It’s similar to the current Behavior Analysis and Safety Improvement Categories (BASICs) methodology, which uses data regarding violations collected from various types of truck and carrier inspections. In an inspection, the IRT model assesses numerous violations and each one is associated with a single BASIC. In this webcast, we’ll explore the differences between the two methodologies and their impact on motor carrier safety and operations. DataQs allow you to request and track a review of Federal and State data issued by FMCSA that you believe is incomplete or incorrect. The system automatically forwards your Request for Data Review (RDR) to the appropriate office for resolution and collects updates and responses for current Requests. In this webcast, you’ll learn how to spot items that should be in your data or is incorrect, tactics to successfully file a challenge, and get a detailed explanation of the adjudicated citation policy. Join us as we provide a high level overview of how the J. J. Keller Encompass Fleet Management System will help you manage your driver and vehicle compliance tasks. In this webcast, we’ll cover how Encompass will help you gain efficiencies in your day to day tasks: •Hiring •Driver qualification •Credentials •Hours of service •Fuel tax •eDVIRs •Titling •Maintenance •and more Make time to join us and see how you can save time on your common compliance tasks with J. J. Keller Encompass! Termination 101: Can I fire this employee? Terminating employees is one of the most difficult tasks Human Resources professionals face. While the decision to dismiss is difficult no matter what the situation, it is often made harder by complicated labor laws and regulations. Learning how to approach these delicate situations in a legal and professional manner is key to managing a successful workforce and avoiding claims of wrongful termination or retaliation. Areas of discussion will include terminations that may be complicated by: •ADA, FMLA and pregnancy •Criminal history or credit problems •Claims of discrimination (age, race, gender, etc.) or harassment •Threats of legal action We will also have a live Q&A session! If you have thought about implementing dash cams into your fleet and are wondering about the benefits and challenges of getting started, attend our NEW webcast on the ins and outs of dash cams. While in-cab video systems are crucial to helping fleets mitigate risk, improve driver retention, and can protect their brand, we share tips and processes that you can use to get a faster ROI on dash cams. This webcast provides a foundation to help integrate a dash cam system and will: •	Outline the benefits of video event recorders, •	Highlight strategies for overcoming driver objections to in-cab video, •	Help prioritize which risk behaviors you should focus on, and •	Provide best practices for driver coaching and recognition. We will also save time for a live Q&A session – Bring your questions! Are your records in order for an audit? Are you prepared? Join us for an in-depth discussion of the in’s and out’s of DOT recordkeeping and what you need to have in place before the auditors come knocking. If you want to pass an audit from the Federal Motor Carrier Safety Administration (FMCSA) you need to have a thorough recordkeeping program. This webcast will cover: •Driver Qualification Files •Drug & Alcohol Files •Medical Cards/MVR •Logs & E-logs, accident records, maintenance records - IFTA and IRP requirements •Training recordkeeping You will learn which records you need to keep and where, how, and how long they should be kept to help ensure compliance. If you’re like most professionals in charge of safety training, you want to be sure your workplace is safe and your employees are trained to meet regulatory and company-specific requirements. Sometimes this can feel like an impossible task, with diverse training requirements, multiple work locations, and frequent ongoing training. We understand. That’s why we’ve developed an innovative new service that lets you worry less about your employee training program. It’s a new concept in training that we want you to know more about where J. J. Keller professionals actually handle your training recordkeeping on your behalf. Join us as we share this new service concept with you. It’s your opportunity to learn more, with no obligation on your part. The DOT Hazardous Materials Regulations are a large, complex set of regulations. Anyone preparing, offering, or transporting hazardous materials must comply with these important regulations. Compliance can be challenging and confusing, but it’s required for the safe movement of hazardous materials. Join us to increase you understanding of these regulations as we discuss: •Commonly asked questions •Common misunderstandings •Common mistakes •Recent regulation changes We'll also leave time to address some of your questions. Roadside inspections remain to be the primary enforcement tool of the FMCSA. The data generated from these inspections gives the FMCSA, transportation industry, and most importantly, you and your company, all of the data you need to be compliant with Federal Motor Carrier Safety Regulations. But even more than that, this data can also contribute to your bottom line by pointing out areas that threaten your profit through a drop in productivity, the cost of intervention, and unplanned maintenance cost. Areas of discussion during the webcast include: How vehicles are selected for inspection The roadside inspection process Roadside inspection data ELDs and roadside inspections This one-hour webcast will include a question and answer session. Please join experts J. J. Keller's experts for this complimentary educational EPA seminar. Why You Should Attend - You'll gain a valuable explanation of current EPA trends including Storm Water Permit, Clean Air and Water Acts, and the Emergency Planning and Community Right-to-Know Act. Our experts will offer insight on how to improve existing systems, as well as common industry shortcomings. Call 800-843-3174 x8218 to register or use link below.